mLogic LLC will demonstrate a standalone Thunderbolt-enabled LTO-6 tape drive mTape for secure backup and archiving of digital media and unveils mLink 2 Thunderbolt 2 expansion chassis. 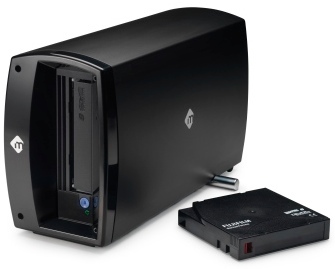 mTape is the first standalone LTO-6 tape drive to feature Thunderbolt connectivity and is the ideal backup and archiving solution for users of laptops and all-in-one computers. LTO tape offers the lowest cost per terabyte of any storage medium and more importantly has an archival life of 30 plus years - longer than any external HDD sitting on a shelf. The new mLink 2 expansion chassis featuring 20Gb/s Thunderbolt 2 technology is the industry's smallest and most affordable system to support add-in cards up to 3/4 length and full-height. Thunderbolt delivers unparalleled performance, flexibility and simplicity to personal computing. Products from mLogic such as mTape and the mLink 2 help highlight what Thunderbolt makes possible.